We offer a wide range of day rides. 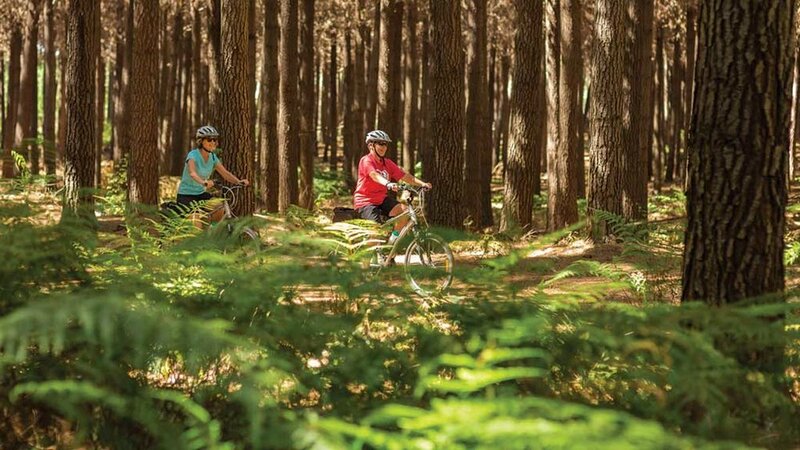 Guided or independent rides along as much or as little of the Great Taste Trail as you choose or Day Tours that help you discover hidden gems in the Nelson Tasman region. Choose one of the following Day Tours on and close to the Great Taste Trail, or let us plan a bespoke day just for you. If you want to see our favourite parts of the trail, take advantage of a one way ride! Take your time and relish the scenery, the coffee shops and galleries - ride by the sea or through quiet countryside. Take a look at the map and read about the different landscapes of the principal sections of the Trail. Wine and art - always a good combination! The region is full of interesting galleries and artists' and makers' studios and has many wineries of which we show you some of the highlights. There really is something magic about Mapua - its seaside location, a wharf full of shops and cafés and its location at the mouth of the Waimea Estuary. This package makes it easy to explore the village and the local area in a day. A great way to experience a portion of the Trail and also some of the region's quiet and picturesque back roads. Call on our extensive local knowledge and discuss with us what your perfect Day Tour looks like and we'll create a tour to suit your tastes.